Swapping out your summer tires for winter tires is a chore we all must face living in Alberta, but it seems there are more options out there than just a simple switch. 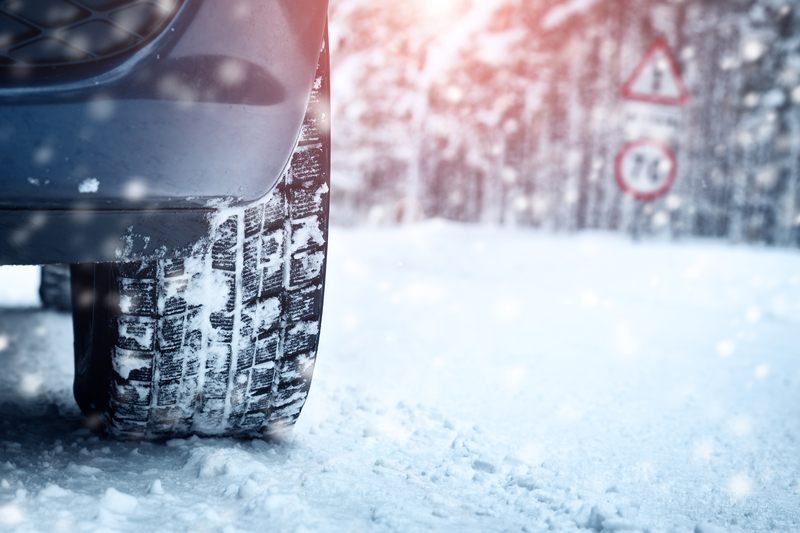 Tire companies are producing all-season tires, all-weather tires, and winter tires, but which are the best tires to safely tackle winter driving in Edmonton? Here is a detailed tire comparison that will help you make the decision. All-season tires are, to be honest, three-season tires. They are okay for spring, summer, and fall but don’t cut it once the snow flies and the temperature plummets. The tire tread on all-season tires is usually smooth and straight, especially when compared to all-weather and winter tires. These can grip the road fine in moderate and hot weather and can even repel water when it is raining, but they do not have a safe enough grip or soft enough rubber to manage significant snow, ice, and freezing temperatures. The term all-weather and all-season seem the same, but they are not. As confusing as the names of these types of tires can be, all-weather can perform better than all-season in the shoulder seasons. They have portions of tire treads that are straight and some that are blockier like winter tires. They are essentially a hybrid between all-season and winter tires and can handle milder winter conditions. Unfortunately, our winters are not mild in Edmonton, which leads us to recommend actual winter tires. “Do I need winter tires?” If you live in Alberta, the answer is yes. While all-weather tires are better than all-seasons, the safest and the best tires are winter tires. A winter tire will have chunky, more aggressive treads that are the best for driving in the snow, slush, and water. The slushy snow can move right through those grooves and provide maximum traction. They are also a softer tire and are designed to remain flexible on the coldest days of winter, giving you the best grip on ice. The harder rubber of an all-season or all-weather tire will slip and slide all over the road on cold days. The soft rubber of winter tires gives you good grip, but if you use them in warm weather they will wear down quickly. That is why you must change your winter tires back to summer tires come spring. We recommend having your winter tires on a second set of rims. This makes changing your tires more convenient and easier for auto repair shops like Revolution Motors. That means it is less expensive to have your tires changed each season. Revolution Motors offers a wide variety of winter tires and can help you purchase a second set of rims too. Don’t wait until you are stuck or already sliding all over the roads. Give us a call at 780-761-1800 and we can help you select the best tires for your vehicle. We can also book an appointment to put those tires on for you. We all know that cold temperatures, ice, and snow can wreak havoc on our roads and make winter driving a dangerous and daunting experience. Stay safe this winter and invest in a second set of winter tires.